VMware Workstation Player lets you launch any previously created virtual machines on your computer - this makes testing and installing different applications easy and safe. 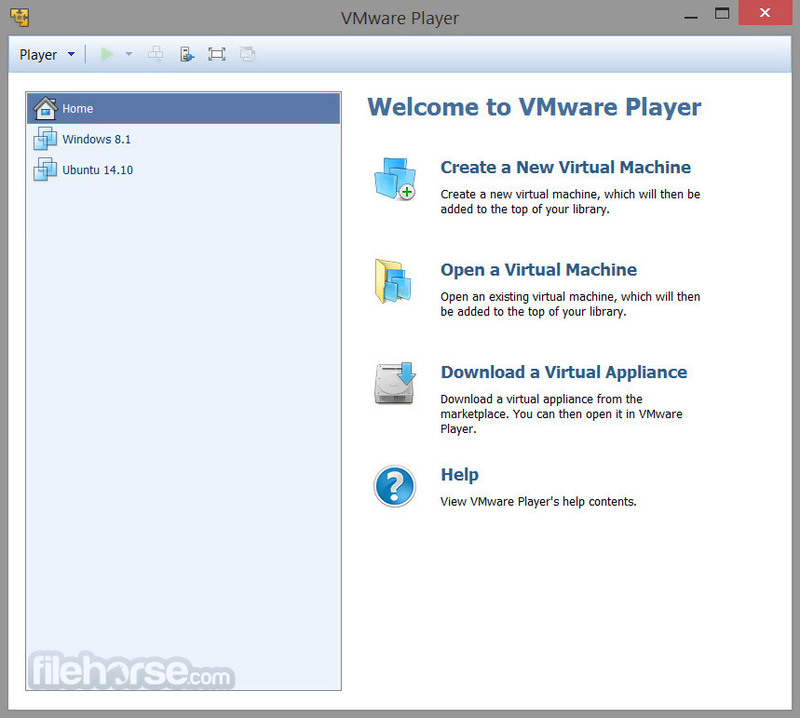 VMware Player also lets you restore the virtual machine to its previous state, thus preventing any unwanted changes made to your computer. As all users who ever worked with virtual machines know, they are stored on hard drives just as archives that can be activated and loaded by wide variety of VMware software players, of which VMware Player aims to be the best one, lightweight and being able to be used in any situation. Run the apps that keep you most productive, wherever you want to use them. Discover the full capabilities of VMware Workstation Pro! 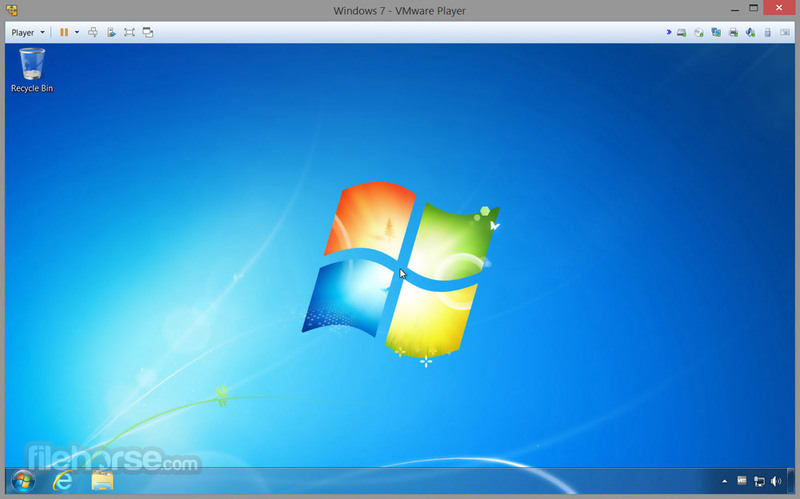 VMware Player is the easiest way to run multiple operating systems at the same time on your PC. 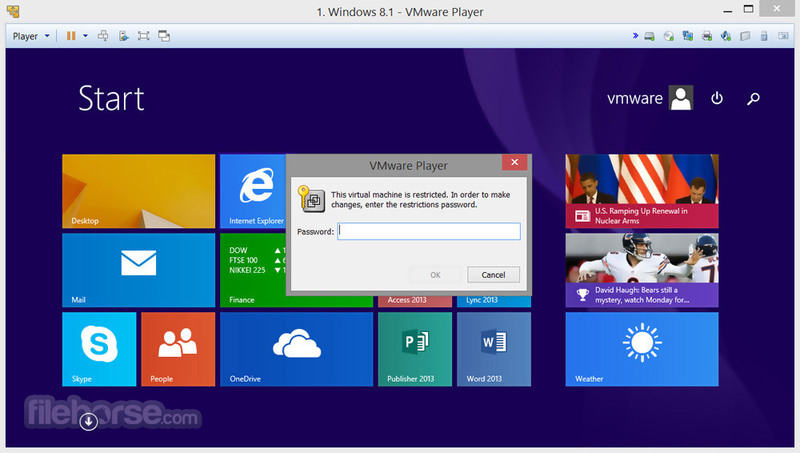 With its user-friendly interface, VMware Player makes it effortless for anyone to try out Windows 7, Chrome OS or the latest Linux releases, or create isolated virtual machines to safely test new software and surf the Web. 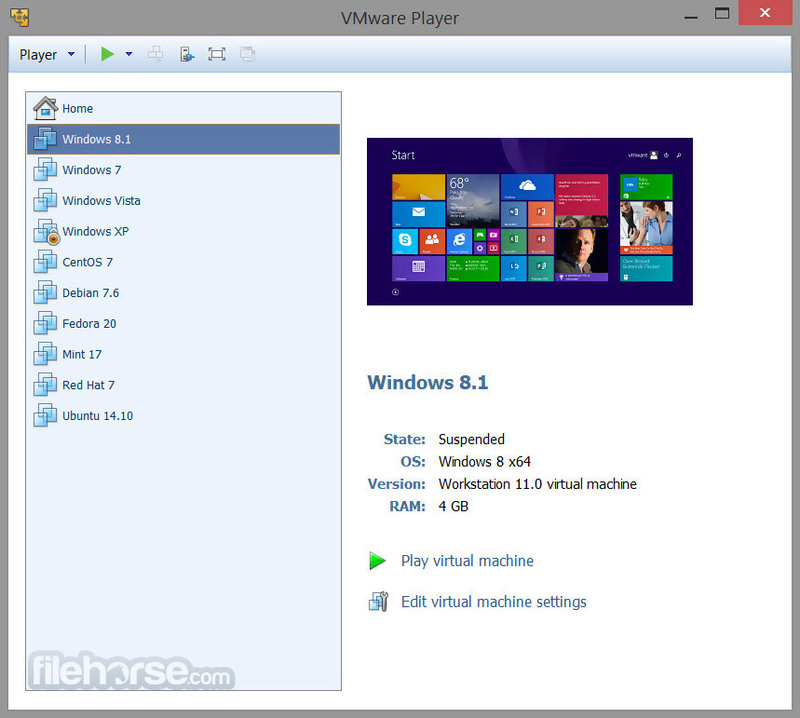 In addition of running previously created virtual machines, VMware Player can also create its own, and even have more access to features than the program from which this app was created from - VMware Workstation. Users who have used other VirtualMachine software can clearly see that VMware Workstation Player offers highly competitive performance, often faster than paid programs and even solutions that come from Microsoft themselves. Other benefits are very loose restrictions. For example users of latest version of this app can create virtual machines that have up to 8TB of hard drive space, 16 virtual CPU threats, USB3, great support of SSD data streaming and ability to emulate Windows 8.1. VMware Workstation Player allows businesses to embrace BYO by providing a corporate desktop image that can run managed or unmanaged on an end user’s laptop or desktop PC. Users get easy access to corporate desktops and apps, while IT admins get the ability to centrally manage and enforce security policies when used with Horizon FLEX. With VMware Workstation Player, you can isolate corporate desktops from BYO devices by disabling copy-and-paste, drag-and-drop, shared folders and access to USB devices. Run restricted VMs that are encrypted and password-protected to ensure only authorized users can interact with corporate data. Or combine Workstation Player with Horizon FLEX to remotely manage the delivery and security policies of VMs.